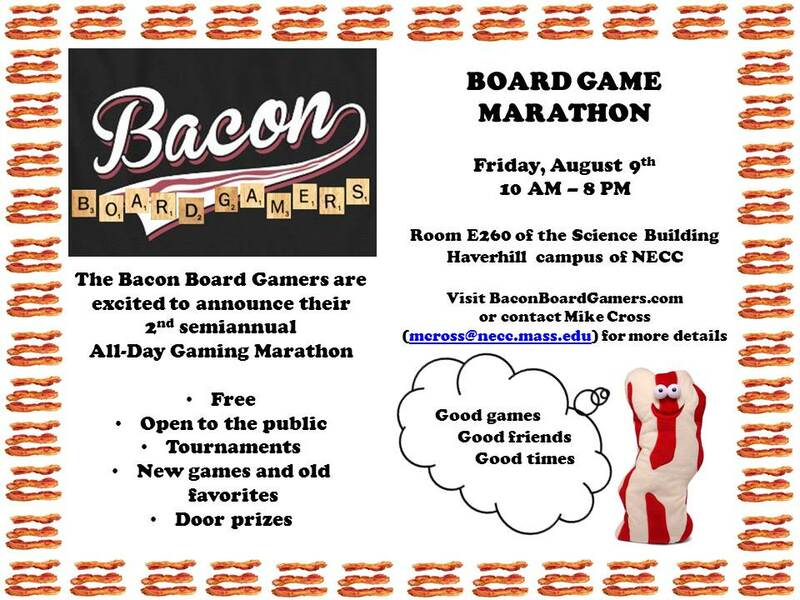 We will be hosting a game day on Friday, August 9th from 10 AM to 8 PM on the Haverhill campus. It will be held in room E260 (the same place as our regular meetings). The event is free and is open to everyone. We will have tournaments, door prizes and open gaming. Tell your friends! Posted on July 20, 2013, in Uncategorized. Bookmark the permalink. 1 Comment.